One of the oldest competitions in the Asian continent the Sri Lankan National Boxing Championships was held in their capital city in Colombo. Athwuda Achchilage Kosala Nilmini, Keshani Kasthuri Hansika, Ishan Ranjeewa Seneviratne Bandara, Dushan Dinidu Saparamadu and Addurakaram Rallage Eranda Thilakarathne were the most successful boxers in the 93rd edition of the Sri Lankan National Boxing Championships. The first edition of the Sri Lankan National Boxing Championships for their elite male boxers was held in the 1920’s during the colonial era. Sri Lanka achieved record number of three bronze medals at the Gold Coast 2018 Commonwealth Games in April which was their main competition this year. 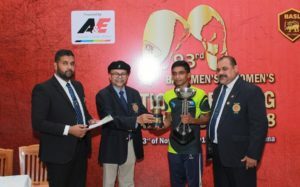 Neutral Referees & Judges are also worked in the Sri Lankan National Championships which raised the level of the event. Mr. Steve Nathan of Singapore, Mr. Sawalingam Govindasamy of Malaysia, Mr. Abdel Rahman Molisa Rasheed Amireh of Jordan and Mr. Firas Suhail Naser of Iraq were the neutral Referees & Judges in Colombo. Sri Lanka’s top international boxer Anusha Dilrukshi Kodituwakku competed last time at the New Delhi 2018 AIBA Women’s World Boxing Championships and the team captain retired from the sport. In her absence the first gold medal in the female part of the Sri Lankan National Championships was achieved by R.A. Nadeeka Pushpakumari. The 28-year-old boxer moved back to the light flyweight (48kg) and defeated I.R.S.S. Ilangarathna in the final. ASBC Asian Confederation Women’s Boxing Championships competitor Athwuda Achchilage Kosala Nilmini, who moved up one category, is an experienced Sri Lankan female boxer. She defeated a developing boxer H.S. Priyaradashini in the final of the flyweight (51kg) which was a spectacular contest in Colombo. Another top favourite Muthuthanthri Sajeewani Cooray claimed the gold medals in the last edition of the Layton Cup, Clifford Cup, the Sri Lankan Women’s National Championships and the Sri Lankan National Sports Festival therefore she was confident in all of her contests in Polonnaruwa. The 28-year-old bantamweight (54kg) boxer defeated her main rival Sewandhi Thalgaspitiya in the final winning the bout by split decision. Keshani Kasthuri Hansika attended in the Commonwealth Games, Asian Games, AIBA Women’s World Boxing Championships and many other international events therefore she was too strong for all of her rivals at the featherweight (57kg). The 27-year-old walked over to the gold medal as her final opponent P.A.H.C. Pasyala was unable to fight against her. ASBC Asian Confederation Women’s Boxing Championships quarter-finalist Krismi Ayomi Dharmatilake also won her weight class in the National Championships. Pitigala Sumudu is a veteran boxer in Sri Lanka who started her career with Anusha Dilrukshi Kodituwakku but she is still active and won the middleweight (75kg) in the event. Following the nine women weight classes the men athletes attended in ten categories at the Sri Lankan National Boxing Championships. M.P.G. 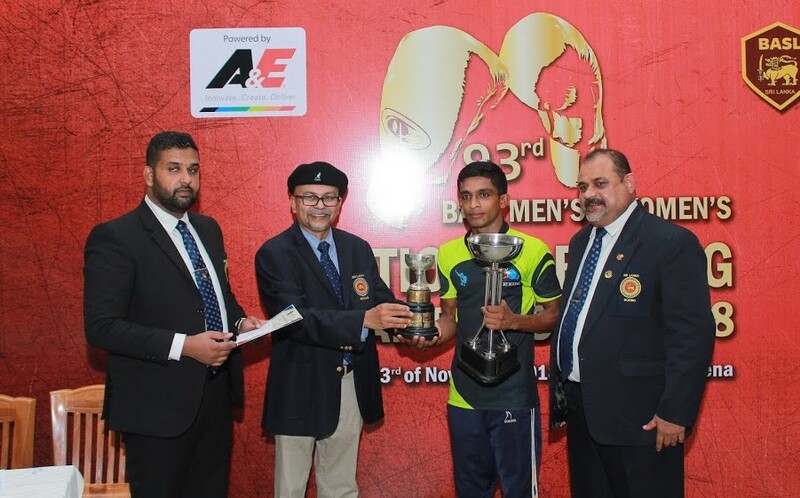 Sanjeeva Nuwan moved back to the light flyweight (49kg) and in spite of the participation of Commonwealth Games bronze medallist Thiwanka Sandaruwan Ranasinghe, he won the first man title. Ishan Ranjeewa Seneviratne Bandara claimed bronze medal at the Gold Coast 2018 Commonwealth Games this April but he had to do his very best against 19-year-old Kuda Lasindu Eranda and Gamage E. Madushan at the flyweight (52kg). Following his gold medal U.G.N.K. Amarawansa (56kg) and K.A.S.B. Jayampathi (60kg) won the next titles. Dinidu Dushan Saparamadu of Slimline is the best Sri Lankan man boxer who qualified for the Hamburg 2017 AIBA World Boxing Championships and he is member of the national team since 2014. The 26-year-old boxer controlled his fights in Colombo and won his next national title at the light welterweight (64kg). Slimline’s Doha International Tournament bronze medallist 27-year-old Niel Madushanka Hettiarachchi won the Clifford Cup in 2018 and won another event following his success over veteran Sisira Kumarasinghe at the welterweight (69kg). Commonwealth Games competitor Gallage Ajith Nevil Fernando moved back to the light heavyweight (81kg) and following his title at the Sri Lankan National Sports Festival he captured his next gold medal. Addurakaram Rallage Eranda Thilakarathne attended in the Tashkent 2017 ASBC Asian Confederation Boxing Championships but he was not the favourite against another international level boxer Lahiru Tharanga Rathnadiwakara. Thilakarathne lost to his strong opponent in the recent national events but this time he was able to do revenge in the final of the super heavyweight (+91kg).